We unpacked the ice cream machine yesterday. Two batches have been made, both dairy-free, one egg-free (and of course both gluten-free, as goes with everything here). I got both recipes from Danielle Walker’s first cookbook, Against All Grain. You can find it on Amazon or Barnes and Noble, along with her other two wonderful cookbooks. Big Brother declared the first batch, French Vanilla, to be his favorite ice cream. 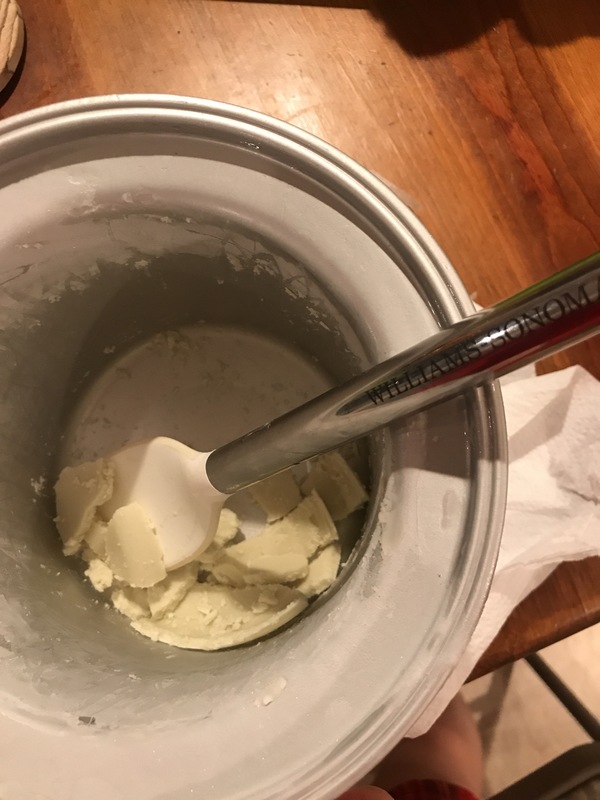 At first, I was unsure how to get the ice cream that had frozen on the sides of the bowl off, but a friend recommended I chip it off gently with a plastic spoon. We don’t have one, so I used a plastic toddler knife, borrowed from my mother-in-law. Worked like a charm. This morning’s batch, Mint Chocolate Chip, was also declared his favorite. Today I tried a spatula, which was more efficient. I really like this ice cream machine, and look forward to making more summertime treats with it, especially because it’s impossible to buy dairy-free ice cream that isn’t a compromise of my food criteria…they all have something in them I don’t want to eat, though Luna and Larry’s Coconut Bliss comes closest. I like that these recipes are sweetened with either a little maple syrup or a little honey, and not refined sugar. I can also rest assured there isn’t any carageenan, soy, gluten, or gums that could irritate my digestion. Little Brother doesn’t tolerate dairy, which is half of why we make things dairy-free. 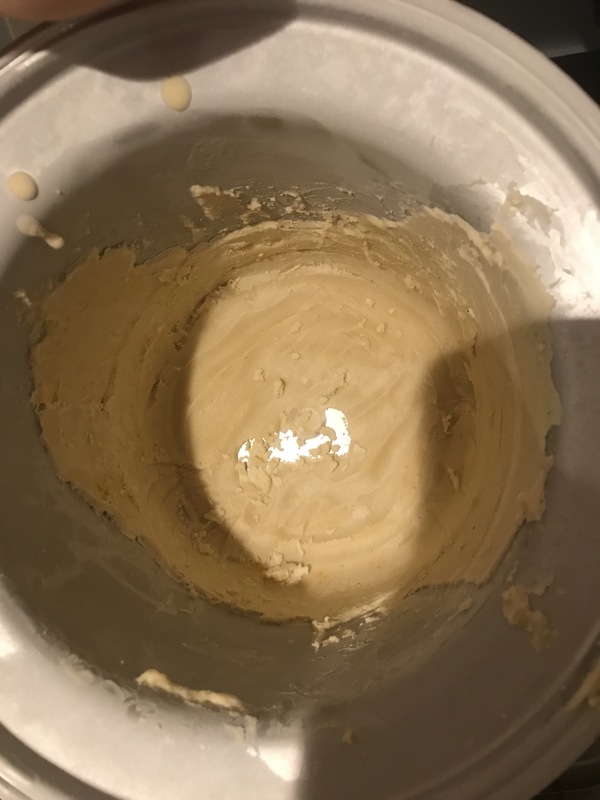 The other half, which I’m still working on due to my love of cheese, is that I’m sensitive to casein, the protein in dairy (as are many other people with Hashimoto’s). I’m going to be doing the 90-day Hashimoto’s protocol by Dr. Isabella Wentz soon, but I haven’t quite given up cheese yet…I know I’ll miss it. So now our summer has officially begun: ice cream is served, and the heat has arrived in full force. I love summer, and now I can share special treats with my boys without making anyone feel icky afterward. Hooray!